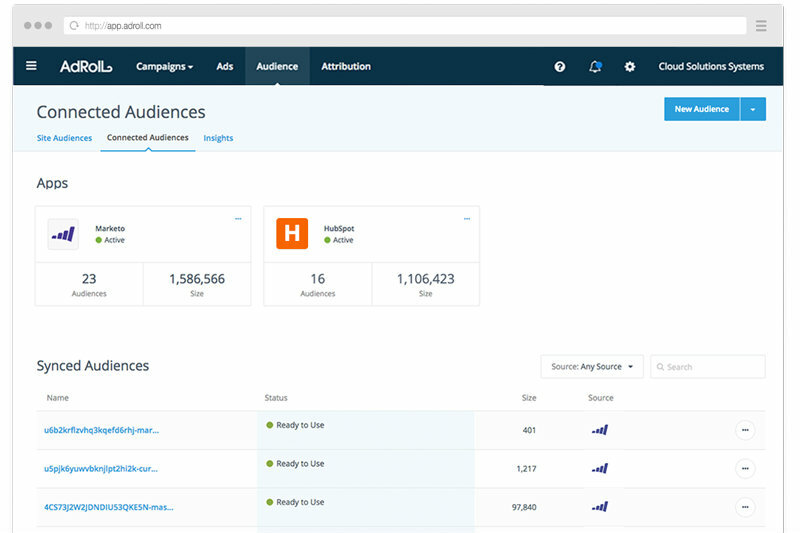 AdRoll, a performance marketing platform, has announced the general availability of its enhanced, full-service ABM advertising platform called AdRoll ABM. The company stated that the platform can now also sync data bi-directionally with HubSpot, in addition to an existing integration with Marketo. The company said this will give marketers direct access to connect AdRoll ABM with their CRM and enable users to create campaigns for key accounts, personalize ads with CRM data and see the impact directly in their CRM dashboard. Additionally, AdRoll announced attribute targeting within the ABM platform, which the company said can help marketers find new high-value leads by creating advertising campaigns that target attributes such as company size, job title and vertical. AdRoll ABM also leverages the AdRoll IntentMap, independent opt-in data sets for advertisers with over 1.2 billion digital profiles processed daily, designed to help B2B marketers identify and target leads who are similar to current high-value customers.